Halloween treats are the absolute BEST, am I right? 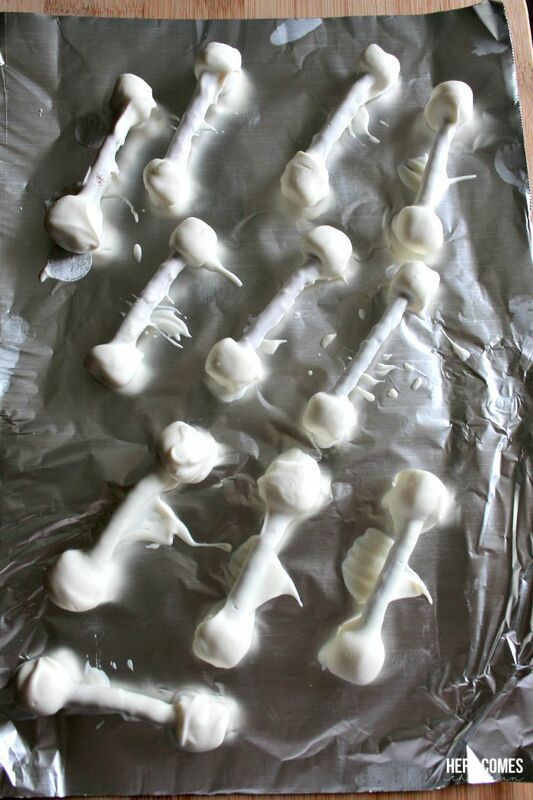 You’ll want to have LOTS of these Chocolate Covered Pretzel and Marshmallow Bones on hand for your Halloween party. The mixture of salty and sweet is to die for! See what I did there? Dip the pretzel and marshmallows into the white chocolate, spooning the mixture over the pretzels and marshmallows to cover. 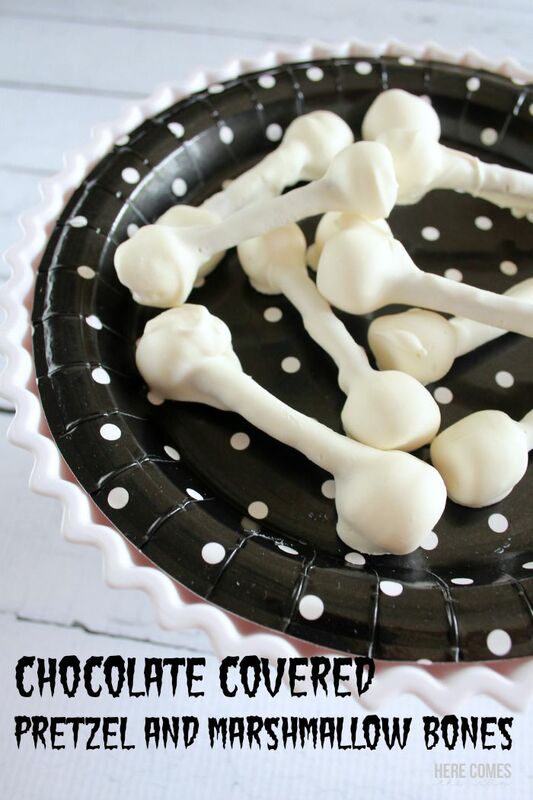 Remove the "bone" from the chocolate and place on waxed paper to dry. These would look so great piled in a black cauldron shaped bowl. 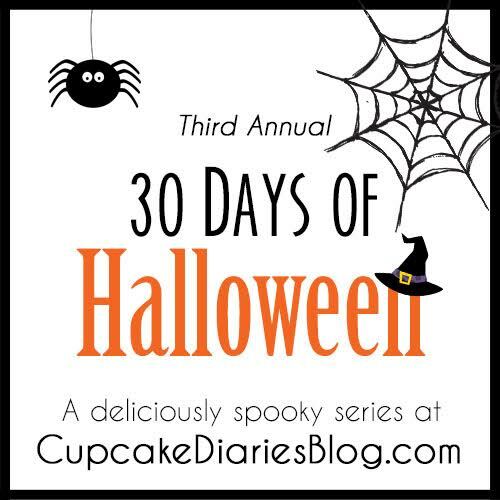 Place them in a cellophane bag with one of my printable Halloween Treat Bag Toppers or make these easy DIY Halloween Treat Bags. 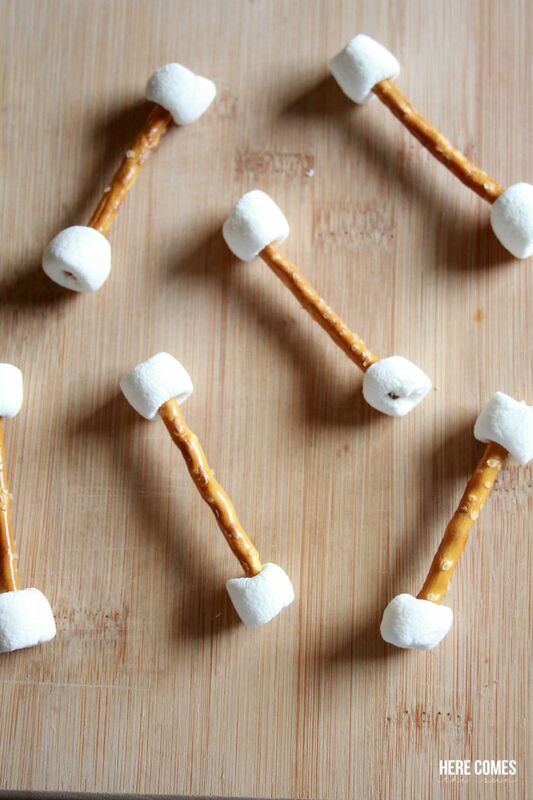 You could also use various sized pretzel rods and marshmallows for different sized bones. 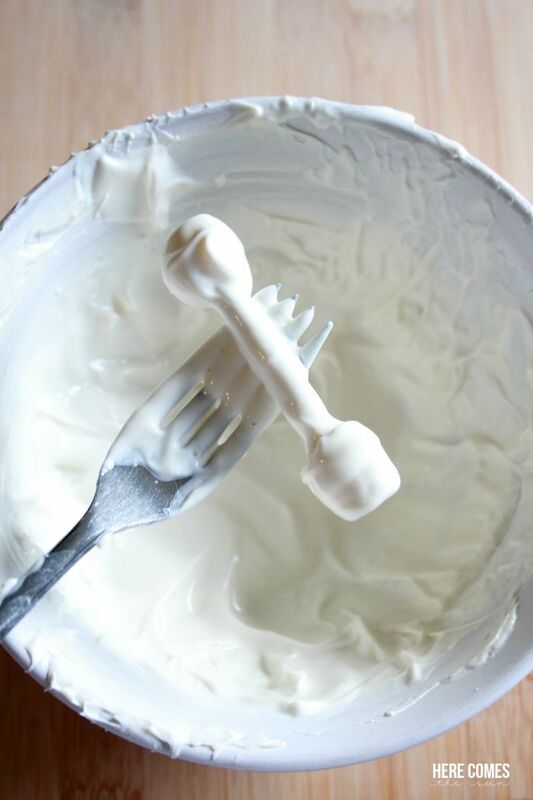 This is an easy treat for the kids to help make as well. It would work great at a school Halloween party. Just make sure to let the chocolate cool a bit before the kids dip the pretzels in. Or you could have the kids place the marshmallows onto the ends of the pretzels and have the adults do the dipping! Make sure to save some for yourself. They will disappear quick!